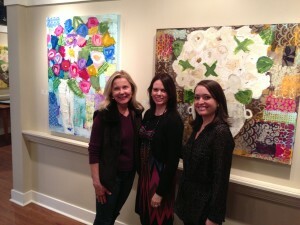 Saturday I had the pleasure of visiting Shain Gallery in Charlotte NC. I brought five new pieces to the gallery and met lots of people who collect and are fans of my work. 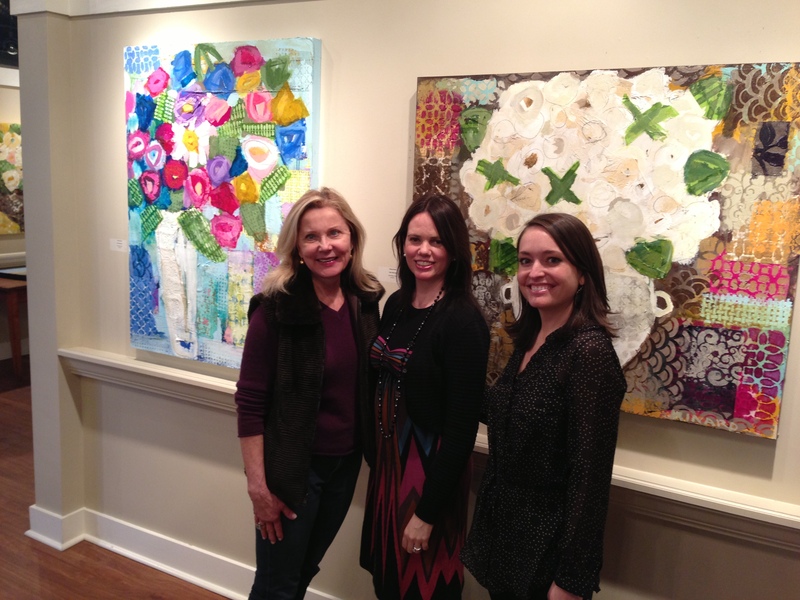 I really enjoyed explaining the creative process to collectors and new clients alike. People had lots of questions, from where I found the paper, to how I choose paint colors, as well as the layering process. It was also nice to hear their thoughts of the work and where they displayed the paintings in their home and how it brought a room together. It’s always great to hear feedback from people who have my work. There was also one collector who has seven paintings, even dating back to my early days as a budding artist (thank you!). It was great to visit Charlotte, it’s a really charming city and we loved staying at the Duke Mansion. There was a beautiful Orchid arrangement in foyer that will be next project.